Federal Reserve Bank of New York President William C. Dudley said the central bank will "probably" raise interest rates later this year despite uncertainties over global growth. Alcoa Inc., the top U.S. aluminum maker, will break itself up by separating manufacturing operations from a legacy smelting and refining business that’s struggling to overcome booming production from China. Wall Street banks are amping up their Big Brother powers — hiring high-tech surveillance firms that can track nearly every move their employees make, from social media to the dark web and even if there is any irregular ATM activity on their bank accounts, The Post has learned. The moves by the banks — to protect themselves from stiff fines and to finger potential law-breakers on the payroll — come as the Department of Justice said this month that it would seek to nail individuals during probes and that banks would be expected to cooperate if they wanted leniency in settlements, sources said. The new tactics may raise eyebrows in some corners of the financial world, but this brave new regulatory world could become the norm. A Michigan man caused a not-so-itsy-bitsy blaze to erupt at a suburban Detroit gas station on Saturday when he saw a spider sitting by his fuel door and tried to set it on fire. The man later admitted that he is extremely frightened by the arachnids, so he pulled out his lighter and attempted to burn it, Fox 2 Detroit reports. "Do you know gas go boom?" the store employee on duty during the incident later told the station. The motorist can be seen on the surveillance video at the Center Line, Michigan, station examining the gas tank and reaching into his pocket for the lighter. The video then shows flames erupting along the side of the car, the pump and the pavement. German prosecutors launched an investigation on Monday into fraud allegations against former Volkswagen (VOWG_p.DE) boss Martin Winterkorn over the carmaker&apos;s rigging of diesel emissions tests. The German company also suspended three top engineers as it tried to get to grips with a scandal which has knocked more than a third off its market value, threatens to rock the global car industry and could damage Germany&apos;s economy. 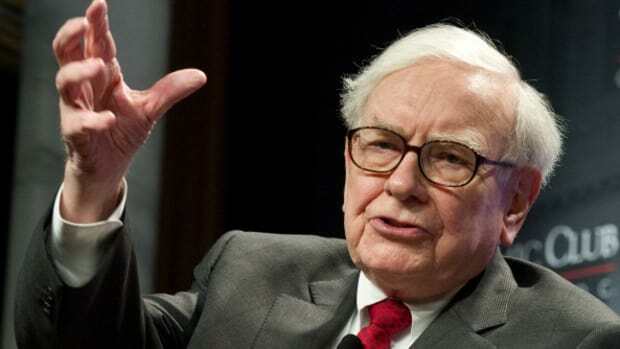 Warren Buffett suited up on Sunday, and not for a board meeting or investor conference. It was for a Miami Dolphins football game. Buffett was on the field -- just off the sidelines -- wearing pads and a #93 jersey, rooting for Ndamukong Suh, a 6-foot, 4-inch defensive tackle for the Dolphins. The two met nearly seven years ago during Suh&apos;s senior year at the University of Nebraska when Buffett came to one of his games. According to an interview with CNBC that aired in May, Suh is deeply interested in finance. "It&apos;s always been something that&apos;s fascinated me," Suh said. "I&apos;ve always loved numbers." Donald Trump is set to release a tax plan Monday that calls for major reductions in levies on middle-income and poor payers, while increasing taxes on the wealthy and reining in companies that pay less in taxes by moving their headquarters overseas. The plan will offer a “major tax reduction for almost all citizens” and help stimulate business in the U.S. again, the Republican candidate’s campaign said Sunday. New Hampshire authorities are searching for a man who allegedly tried to steal several drills from a hardware store, only to make chicken noises and run away. Employees at the Sears hardware store in Concord told police that the man had placed four DeWalt drills inside a shopping cart. He then tried to leave the store without paying for the drills. "When store employees tried to stop this subject, he made what they described as &apos;chicken noises&apos; and fled on foot, leaving the drills behind," police said in a statement. The drills are valued at approximately $900.